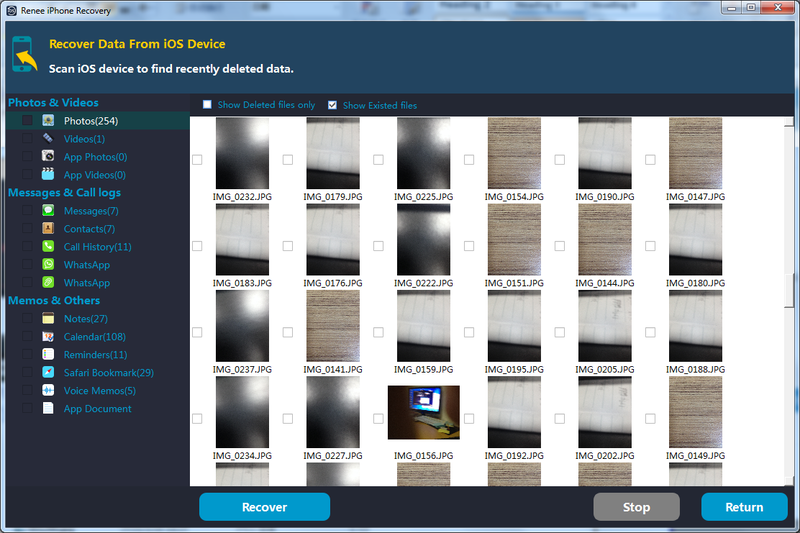 Professional iPad data recovery software recovers deleted photos, videos, contacts, etc from iPad devices. Broke the screen? Delete the files? No problem! Get it back now! 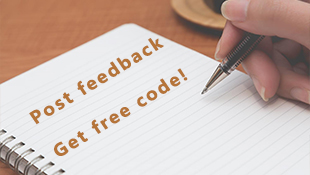 With iPad becoming another important tools and entertainment in our daily life, more users save and store critical data like photos, contacts, etc in iPad. But sometimes, accident happens. Broke the screen? Accidentally delete the photos or contacts? 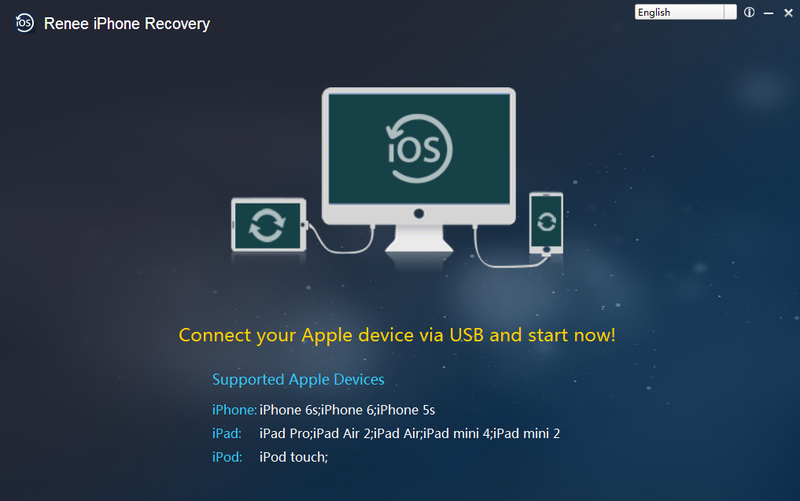 With professional iPad data recovery software - Renee iPhone Recovery, you can get these data back to iPad without effort. 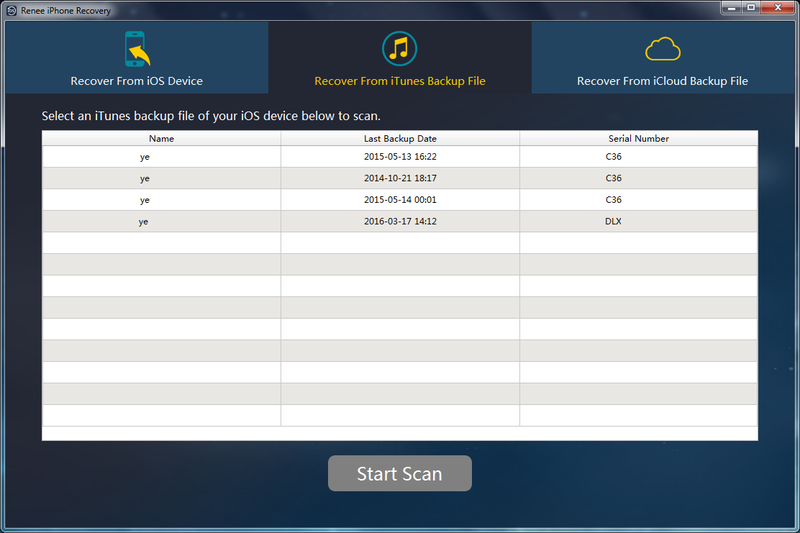 Provides 3 solutions to recover photos from iPad, iPhone, iPod: recover from iPhone, iTunes backup and iCloud backup files. 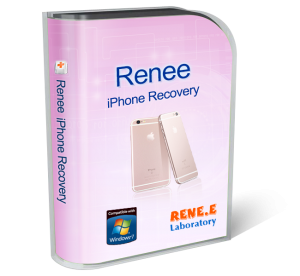 Renee iPhone Recovery is capable with many versions of iOS products including iPhone 6s Plus, 6S, 6 Plus, 6, 5SE, 5S, iPad Pro, Air 2, Mini 4, etc. Supports recovering photos, videos(which were taken by your iOS devices), notes, contact, call history, attachments of message and apps, SMS, etc. Step 1: Launch Renee iPhone Recovery and connect your iPad to Windows 10 computer. Then you need to choose which way you want to recover your lost data. 3 ways are available: from your iPad, iTunes backup and iCloud backup. Please select the backup version which was made before you deleted the data. 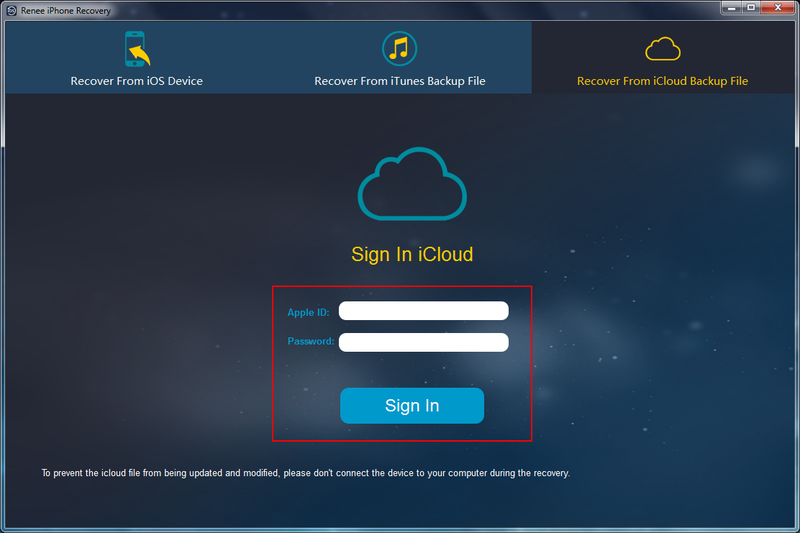 If you want to recover the photos from iCloud, please log in your Apple ID in this page and Renee iPhone Recovery will download the backup files for you. 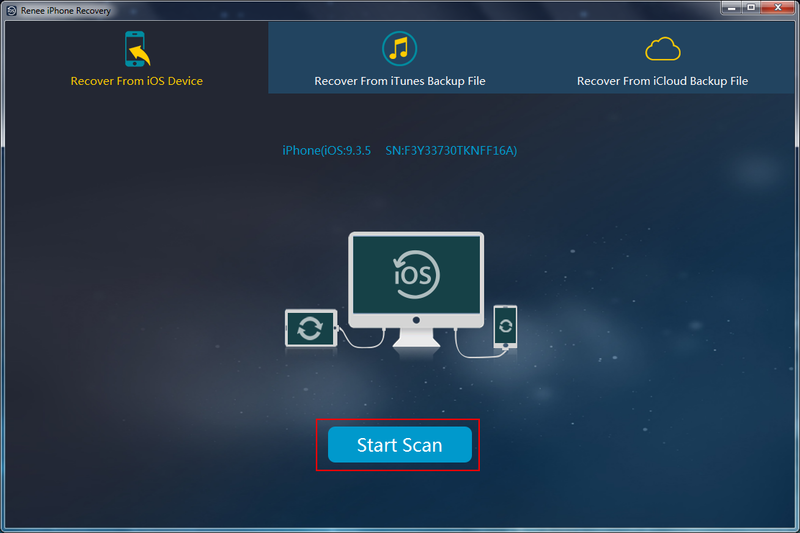 Step 3: After scan finish, please select the data you want to recover and click “Recover”. Broken iPad screen or accidentally the data from iPad? Do not worry! 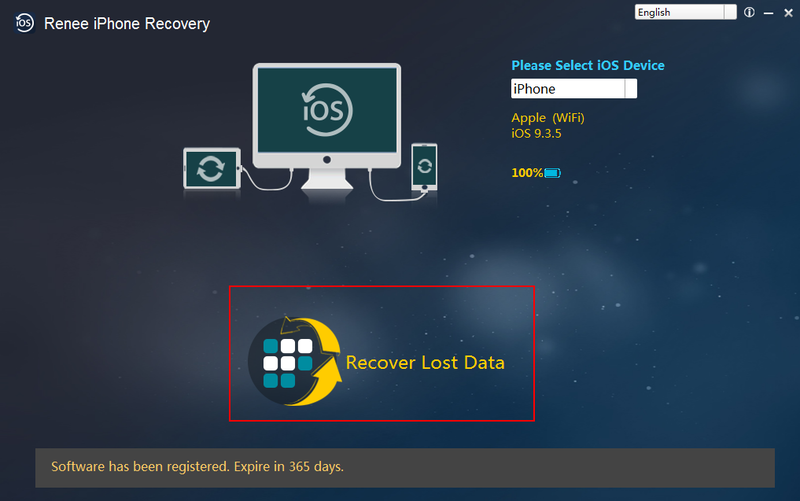 Renee iPhone Recovery helps you recover these data back without effort!